After a 15-year halt, Argentina has come back to the bilateral investment treaty (BIT) negotiation arena, with the signing of a BIT with Qatar on November 6, 2016 and the ongoing negotiations of a BIT with Japan. 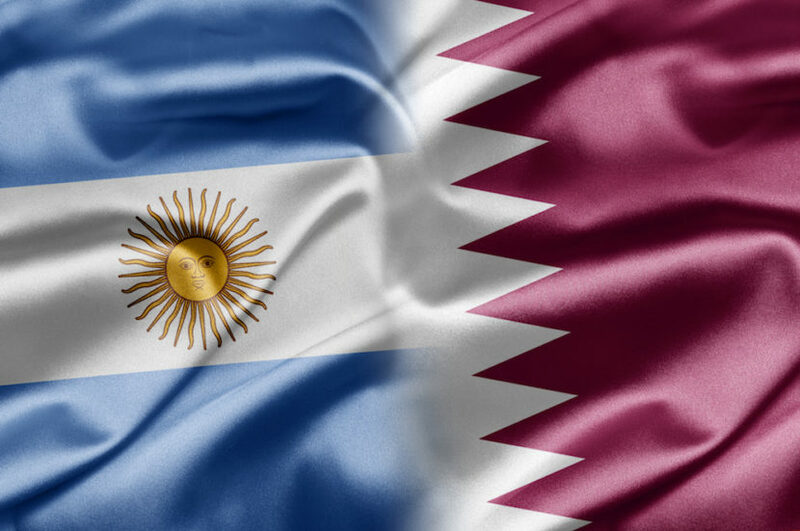 In this article I analyze the scope of the Argentina–Qatar treaty and the characteristics of the negotiations undertaken by Argentina. Between 1990 and 2001, Argentina signed 58 BITs, of which 55 entered into force. In general terms, their content did not vary much, and they had the features of traditional BITs. The end of Argentina’s BIT program in 2001 coincided with the peak of the country’s worst-ever economic crisis, and the proliferation of investment arbitration claims against Argentina. Since the 1990s Argentina has experienced the effects of BITs. Already in 1995 foreign investors, based on various BITs, were granted access to the Argentine media sector on a national treatment basis. Also the concerns about BITs can be detected at a very early stage. After the first three cases against Argentina were registered with the International Centre for Settlement for Investment Disputes (ICSID) in 1998, the Chief of Cabinet before the National Congress expressed concerns and indicated that the Ministry of Foreign Affairs had been requested to use diplomatic channels to limit the scope of BITs. In 2003 the executive informed the Congress that there were more than 50 claims involving BITs. Half of these became cases under the arbitration rules of ICSID or the United Nations Commission on International Trade Law (UNCITRAL), while the other half never materialized in arbitral proceedings, which suggests that there were settlement agreements. The post-2003 events are better known, with a total number of 59 cases against the country, most of them involving government measures to face the economic crisis. The Argentina–Qatar BIT resembles in structure and wording the 2012 Moldova–Qatar BIT. In fact, 15 out of 20 provisions of the Argentine treaty have the same or similar wording as those of the Moldovan treaty. Many provisions do not differ much from those of traditional BITs, including the provisions on expropriation, compensation for losses, transfers, subrogation, denial of benefits, entry and sojourn of personnel and state–state dispute settlement. Other provisions, even if they follow in general terms the Moldovan treaty, show significant variations. The preamble refers to “sustainable development,” a novelty in Argentine treaties. The definition of “investor” follows the Moldovan treaty, except for the requirements that judicial persons be constituted or organized and have their principal place of business in the territory of the home state (Art. 1, para. 1(b)). It also provides that a company shall not be deemed an “investor” under the treaty “where it is controlled by nationals of a third State or of the host State” or where it does not conduct “substantial business activities within the territory” of the home state (Art. 1, para. 1(d)). On the other hand, the provision provides that juridical persons include official agencies, sovereign funds and trusts, entities that were generally not included in previous Argentine BITs. The definition of “investment” also uses the open-ended asset-based definition of the Moldovan treaty, but includes the requirement that an investment “involves commitment of resources into the territory” of the host state (Art. 1, para. 2). The treaty follows the Moldovan treaty in that it “shall not apply to any dispute raised before the entry into force” of the agreement, but with an additional limitation providing that it shall not apply to disputes that are “directly related to events or actions taking place prior to [the date of entry into force], even if their effects are experienced on a date on which the Agreement is already effective” (Art. 2, paras. 1 and 2). The provision on the promotion and protection of investments links both the fair and equitable treatment (FET) and the full protection and security standards to customary international law (Art. 3, paras. 4 and 5). The investor–state dispute settlement (ISDS) provision also follows the traditional approach of the Moldovan treaty. ISDS covers “[a]ny juridical dispute under the provisions of this Treaty, arising directly from an investment” (Art. 14, para. 1). The period of amicable settlement of three months shorter than the negotiation periods of previous Argentine BITs. If a dispute cannot be settled amicably it may be submitted to a) the competent court of the host state, b) the mechanisms provided for in the ICSID Convention or c) “an ad hoc tribunal administered by the Permanent Court of Arbitration” (PCA) (Art. 14, para. 2). Despite Argentina’s various criticisms to ICSID in different arbitrations, the treaty keeps ICSID arbitration as an option. However, the reference to the PCA is new to Argentine BITs and suggests that Argentina is starting to think about the PCA as an alternative to ICSID. A number of provisions may have been included at the request of Argentina since they are absent from the Moldovan treaty, such as the articles on the right to regulate (Art. 10), compliance with the laws of the host state (Art. 11), corporate social responsibility (CSR) (Art. 12), security measures (Art. 13) and challenge of arbitrators (Art. 16). The provisions on the right to regulate and security measures reflect essential aspects of most litigations involving Argentina and show an improvement compared to previous Argentine BITs. The article on compliance with the laws of the host state is among the main innovations of the BIT. It provides that “[t]he Contracting Parties acknowledge that investors and their investments shall comply with the laws of the host Contracting Party with respect to the management and operation of an investment” (Art. 11). The ISDS provision, in turn, does not state that only “the investor concerned” may submit the dispute to the different options appearing in the provision (a requirement that appears in the Moldovan treaty); rather, it provides that “the dispute may be submitted,” without indicating the investor as the necessary claimant. The interaction of the two provisions suggests that the host state could initiate arbitration against foreign investors who do not comply with its laws. Improvements are more limited in other clauses, such as the ones on the challenge to arbitrators, CSR, and “more favourable” provisions. The latter is a variation of a clause of the same type included in the Moldovan treaty. The most-favoured-nation (MFN) treatment clause cannot be used to invoke ISDS provisions included in treaties signed before the entry into force of the BIT. However, it could have provided instead that MFN cannot be used to invoke ISDS contained in any other treaty, which has been the consistent position of Argentina before arbitral tribunals. Argentina’s stock of 52 BITs in force providing for ISDS and its history of 59 arbitrations as respondent state, coupled with the crucial importance of foreign investments to Argentina nowadays, certainly have an effect on the negotiations of the new BITs and distinguishes the situation of Argentina from that of other developing countries. Another aspect that has characterized the recent negotiations with Japan and Qatar is that the counterparts have conditioned new investments in Argentina to the conclusion of BITs. It has to be seen now how the National Congress will react to the new BIT. At the time of writing, it had not been sent to the Congress for approval, a condition necessary for its entry into force. Many members of Congress expressed concerns about ICSID arbitration when discussing the Law on Public–Private Partnerships (PPP) in November 2016. Following the example of various developing and developed countries, it would be useful to undertake in Argentina a public debate on the national policy on the promotion and protection of foreign investments involving the different stakeholders. It would also be useful to count on a model BIT that codifies Argentina’s long-standing litigation position. Interestingly, Argentina had its own model BIT in the early 1990s and by 2010 it was working on a model BIT. In order to move towards more advanced and efficient mechanisms for the promotion and protection of foreign investments, in addition to highly-qualified and experienced negotiators, it is also necessary to count on the political will of both negating parties. Facundo Pérez-Aznar holds a Ph.D. in International Law from the Graduate Institute of International and Development Studies. He is Associate Professor of International Economic Law in the Masters in International Relations, University of Buenos Aires, and Senior Researcher at the Graduate Institute. Pérez-Aznar, F. (2016, November 14). Argentina is back in the BIT negotiation arena. Investment Claims. Retrieved from http://oxia.ouplaw.com/page/argentina-bit. The text of the treaty is available in Arabic, English and Spanish at http://investmentpolicyhub.unctad.org/IIA/country/8/treaty/3706. Pérez-Aznar, F. (2016) Bilateral investment treaty overview — Argentina. Investment Claims. Retrieved from http://oxia.ouplaw.com/view/10.1093/law:iic/ov-ar.document.1/law-iic-ov-ar?rskey=pVMqRw&result=1&prd=IC. See Argentine Republic. (1995, April 4). Comité Federal de Radiodifusión, Resolución 350/1995 March 27, 1995. Boletín Oficial, No. 28117, p. 41. Retrieved from https://www.boletinoficial.gob.ar/#!DetalleNorma/7149988/19950404. Informe del Jefe de Gabinete de Ministros ante el Honorable Congreso de la Nación, Ing. Jorge Rodriguez, Informe No. 29, September 30, 1998, p. 87. Retrieved from http://tmp.jgm.gov.ar in February 2016. The list of BIT claims reported in 2003 that did not reach the stage of arbitral proceedings included claims under the Argentine BITs with the United States (involving the following companies: Chubb/Federal Insurance Company, Cobra Instalaciones, Edeersa, Federal Express Corporation, First Energy, Weather, and Union Company of California & Unocal Corporation), Spain (involving Abengoa SA and Teyma Abengoa SA, Acesa Infraestructuras SA, and Carsa/Prisa), Italy (involving Telecom Italia, Torno SPA, and Societa Italiana per il Gas S.P.A.), the United Kingdom (involving United Utilities International Limited and British A. Tobacco), Switzerland (involving ASA Investment); the Netherlands (involving Boskalis/Ballast), Russia (involving Frigorífico Victor AVSA), Chile (involving Gasatacama), Germany (involving Hierros S.A.), Canada (involving Petrolera Río Alto), Sweden (involving Skanska), Belgium/Luxembourg (involving Tractebel) and under the Spain–Argentina and Germany–Argentina BITs (claim involving the nuclear plant Atucha II). Informe del Jefe de Gabinete de Ministros Dr. Alberto Fernández a la Honorable Cámara de Senadores de la Nación, Informe No. 57, June 25, 2003. Retrieved from http://tmp.jgm.gov.ar in February 2016. Agreement between the Government of the Republic of Moldova and the Government of the State of Qatar for the reciprocal promotion and protection of investments, December 10, 2012. Retrieved from http://investmentpolicyhub.unctad.org/Download/TreatyFile/2012. Peterson, L. E. (2016, December 13). Analysis: A look inside Argentina’s first new bilateral investment treaty in 15 years. IAReporter. Retrieved from https://www.iareporter.com/articles/analysis-a-look-inside-argentinas-first-new-bilateral-investment-treaty-in-15-years. Kanenguiser, M. (2016, July 1). Japón quiere invertir hasta US$ 9000 millones en la Argentina en los próximos tres años. La Nación. Retrieved from http://www.lanacion.com.ar/1914450-japon-quiere-invertir-hasta-us-9000-millones-en-la-argentina-en-los-proximos-tres-anos. La Política Online. (2016, July 26). Macri con el Emir de Qatar. Retrieved from http://www.lapoliticaonline.com/nota/99246-macri-con-el-emir-de-qatar. Sued, G. (2016, November 2). El oficialismo hizo concesiones y destrabó el proyecto de aporte privado a la obra pública. La Nación. Retrieved from http://www.lanacion.com.ar/1952537-el-oficialismo-hizo-concesiones-y-destrabo-el-proyecto-de-aporte-privado-a-la-obra-publica. Informe del Jefe de Gabinete de Ministros a la Honorable Cámara de Diputados de la Nación, Dr. Aníbal Fernandez, Informe No. 78, September 2010, p. 518. Retrieved from http://tmp.jgm.gov.ar in February 2016.